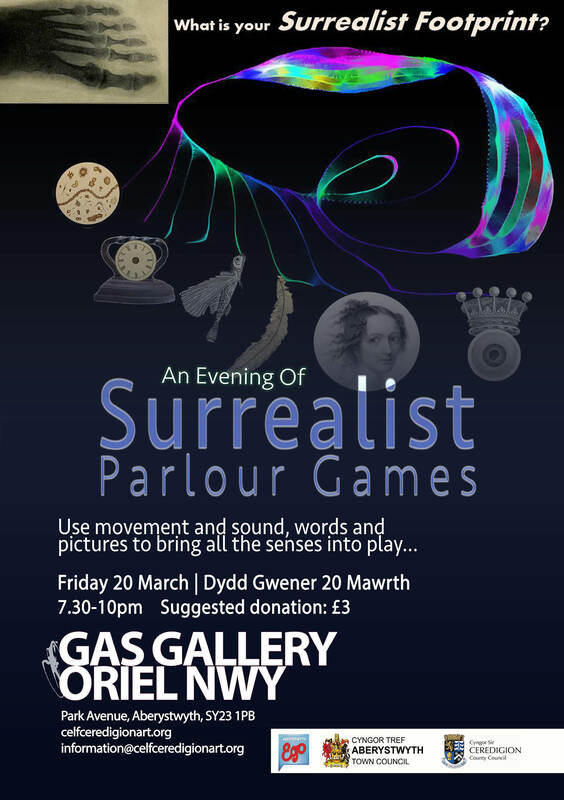 What a week…from the amazing Mabinogi storytelling festival last weekend, through an inspiring Theatre Film & TV department research conference, and tomorrow not only the solar eclipse and equinox but Surrealist Journeys at the Gas Gallery, Friday 20 March starting at 7:30. Where will your Surrealist footprint take you? This entry was tagged events, surrealism. Bookmark the permalink.